Avrex set to release his debut album titled "GROWTH" early March 2019. 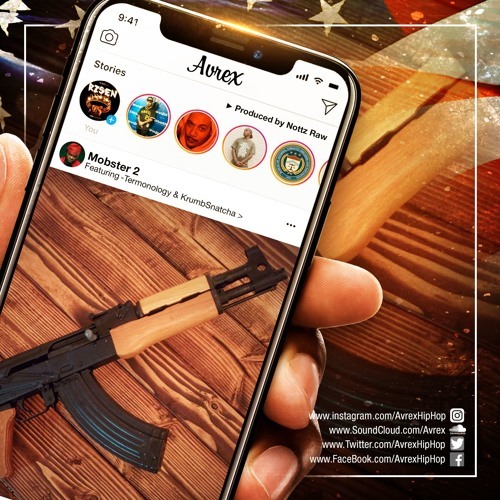 Avrex leads off the first single with a powerhouse-lineup, featuring mentor and cousin KrumbSnatcha, Termanology, and production from Nottz Raw. The first single titled "Mobster 2" is a sequel to KrumbSnatcha's 1996 release of Mobsters. The track is a well thought out montage attacking issues such as street violence, trying to fit in and using a facade of violence to further careers in the music industry. The instant classic gives voice to the regenerated man who see's the past as just that. With that being said a true Gangster is one that practices restraint at all cost to insure the well being of his family! Enjoy.